Santa Clara, CA and Paris, France, December 14, 2017 – 6WIND, a high-performance networking software company, today announced TCP Boost, a high performance Transmission Control Protocol (TCP) stack for proxy and server deployments. TCP is a client/server protocol used to communicate between applications over an IP network. However, the performance of TCP-based applications is limited by common bottlenecks in the Linux kernel. To overcome these limitations, 6WIND offers TCP Boost as a solution, based on its 6WINDGate™ packet processing software, which is widely deployed as the industry’s highest performance TCP userland stack since 2010. 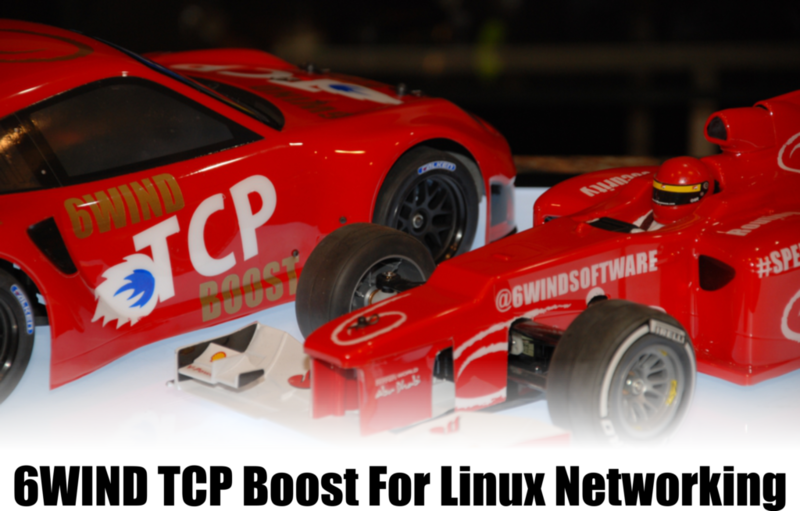 6WIND’s TCP Boost leverages DPDK (Data Plane Development Kit) in a fast path user space model to eliminate Linux performance bottlenecks. TCP Boost helps build high performance TCP-based applications for both bare metal and virtual machine (VM) deployments. TCP Boost integrates with 6WINDGate’s comprehensive Layer 2-3 protocol stacks, which are deployed in Tier 1 networks worldwide to help OEMs build networking products with a competitive advantage. SSL Inspection: to increase cyber threat protection for high speed networks, TCP Boost is used as a proxy to offload TCP traffic from the Linux kernel. Test and Measurement: to test the Quality of Experience (QoE) for high-speed networks, TCP Boost is used as the TCP stack in a server upon which applications such as Traffic Generators are built.